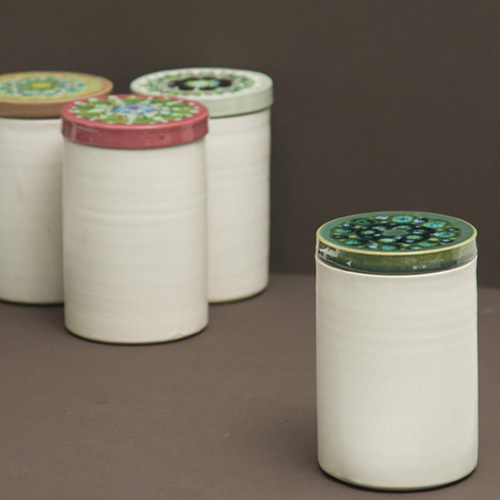 Lubna Chowdhary is ceramicist living and working in London. This graduate of the Royal College of Art makes bespoke tiles and utilitarian items by hand. All her work is craft based but with a practical element to it. Lubna’s work exudes a rare beauty which combines traditional craft techniques with contemporary colour combinations, abstract motifs and graphic line. 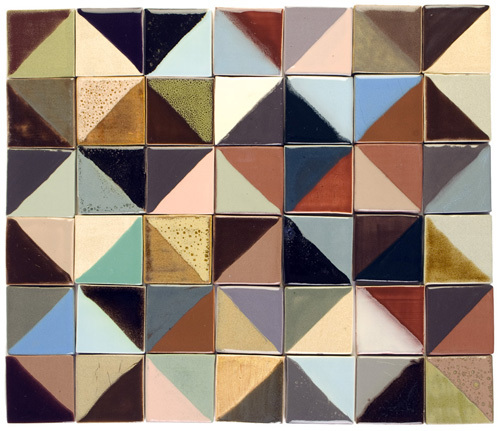 The strikingly beautiful glazes are blended in her studio, and painted in multiple layers onto tiles of various dimensions and textures. Each tile is then taken through numerous firings, before it is ready to take its place in a meticulously considered composition . 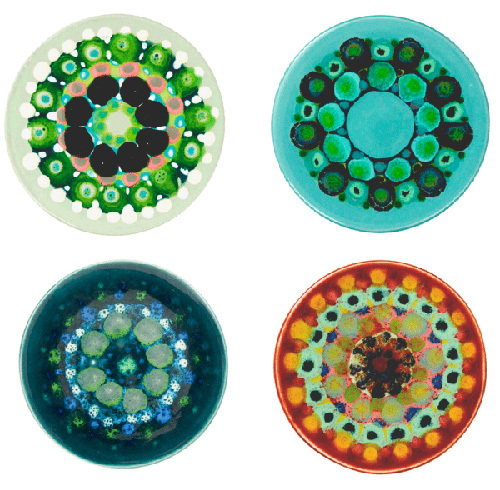 Lubna’s gorgeous designs are available from her online shop. An exclusive selection of tiles designed for Agnes Emery is available in the Emery and Cie shops in Paris, Antwerp and Brussels. A bespoke range of commissioned products is available from Maragret Howell shops worldwide . Oh, It is so beautiful! Perfect color combination! And happy birthday to your beautiful son! oh, the jars take my breath away…I’m checking the online shop right now. I love Lubna’s work. I first saw her tiles in an issue of Garden’s Illustrated – years ago. When we were visiting London 8 years ago, we made an appointment and met her in her studio in Hoxton. She created a series of her tiles for me that I turned into small cocktail tables for our Palm Springs home. We love them and we use them everyday! beautiful. the designs seem almost accidental.